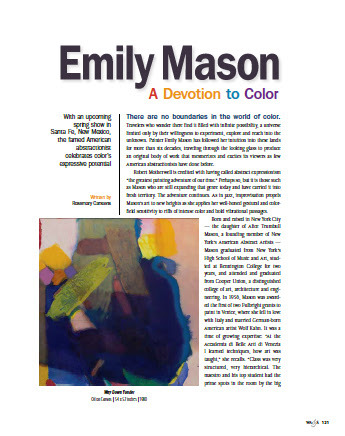 Interview by Chelsea Liu in UrbanGlass Quarterly. Article by Chelsea Liu in UrbanGlass Quarterly. Mesmerically patterned and radiant, the works of Australian artist Matthew Curtis are something uncanny in how they read as both organic and artificial. Inspired by what Curtis describes in his artist statement as the "exquisite architecture of cellular growth and how these biologically derived structures are reflected in our built environment," the interplay between the man-made solidity of the materials and the light and delicacy of glass filaments... Click to read more. Rutenberg’s palette is blindingly vibrant, which contributes to the feeling of complete absorption in front of his canvases. 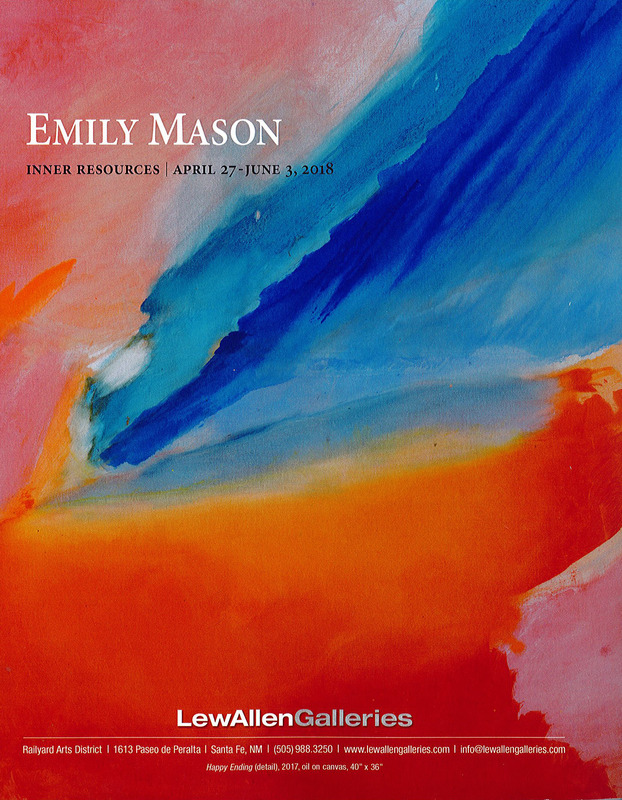 Just when we begin to get lost in the broad fields of color, sinuous strokes that recall meandering tree trunks draw our attention to shift the eye back to the landscape. Rutenberg maintains control over his kaleidoscopic palette, softening pieces like “Flower Bed” and “Pine Lakes 14” while saturating and enlivening others, such as “Thicket” and “Orion.” Click to read more. These women, with latent longing and coiled grace, demand that you participate in their mystery. Fashion also plays a significant role in their allure. Outfitted in period dresses and formal gowns, a sense of high style pervades. Yet it is this elegance, juxtaposed against backgrounds doubling as voids, monochromatic tones, and spectral moodiness, which thickens tension and endows these “portraits” with jarring disquiet. These women could be brides at their own funeral. Ballroom Ophelias in a fugue state. Click to read more. "Carmen Vetter and Sammy Peters: Surface Language” is a new exhibit at LewAllen Galleries that explores the subject of surface texture through the work of Peters, a mixed media artist, and Vetter, a glass artist. 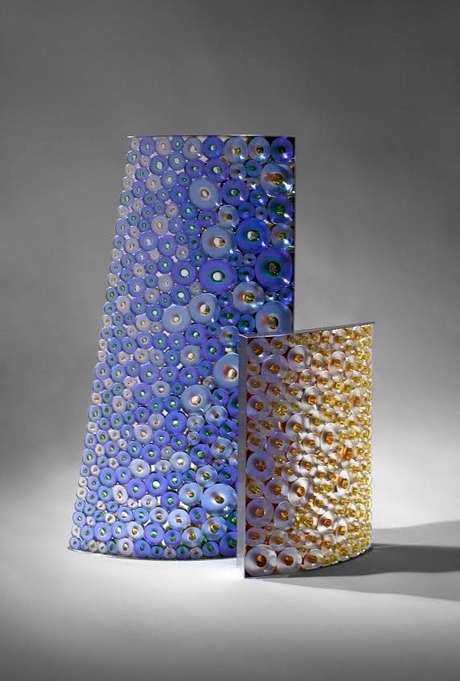 Building up texture on a surface is foremost in the mind of Vetter, who lives in Portland, Oregon and has been working with kiln-formed glass for close to 20 years. 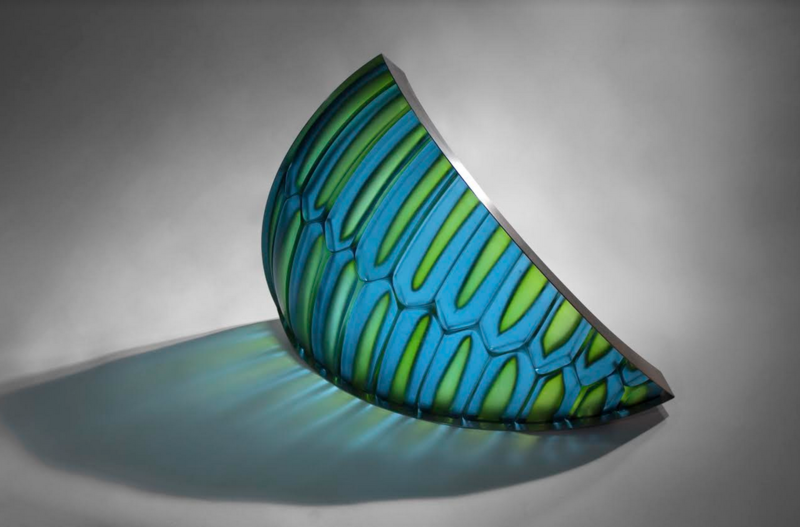 “Much of my work in glass has been about surface,” she explains. “It infers touch, the seen, the exposed and inversely the depths beneath. Click to read more. 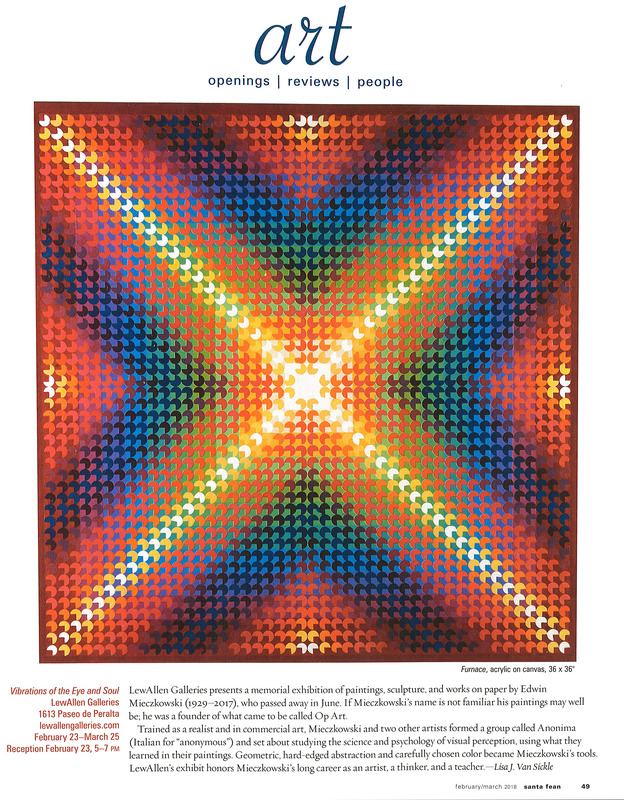 “Oddly romantic” is how art critic Edward Leffingwell described the paintings of Philadelphia-based artist Linda Stojak in the May 2006 issue of Art in America, which is quoted on a gallery wall in her first exhibition at LewAllen Galleries. The works do recall a romantic past, not in any nostalgic way, but in a knowing way, as through a filter of time — though it might be more accurate, in terms of Stojak’s painting style, to say layers of time. The nine paintings on exhibit are enigmatic renderings of women, lushly executed and textured by building up the paint. Click to read more. Say Pablo Picasso and Edvard Munch, and most of us think of the great museums of New York, Paris and Barcelona. In a rare pairing of original prints, a well-known Santa Fe gallery is showcasing these two modern masters in “Genius on Paper,” on view through Feb. 12. The LewAllen Modern show features 20 works by Picasso and seven by Munch for sale. The two artists helped define modernism as we know it. “This is the type of show you can’t see very often anywhere,” said Louis Newman, the gallery’s modernist curator. “You just don’t see many Munch prints on the market. 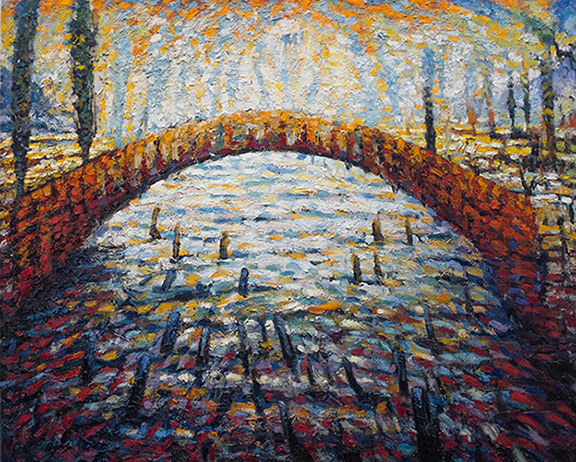 And many of the Picassos in this exhibition are quite rare.” Click to read more. You have to be a bit of a treasure hunter to find European modernist prints in Santa Fe. Examples from a private collection fill two small rooms here with a remarkable selection of prints by Pablo Picasso and Edvard Munch. 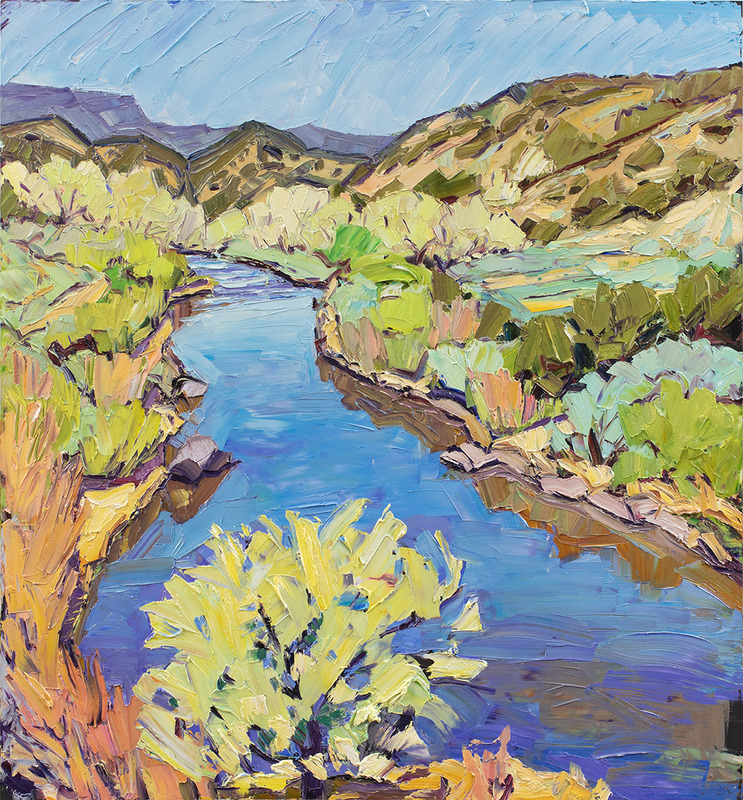 The Southwest is home to a contingent of master printmakers, and to them especially I say: you must see this. Click to read more. 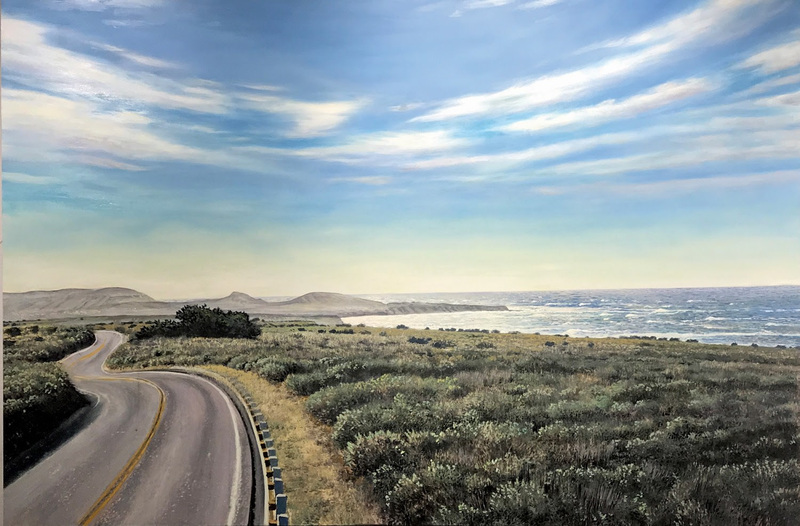 When Jivan Lee sets out to paint on location, many of his favorite spots are ones where legendary artists stood with their easels or cameras decades ago. 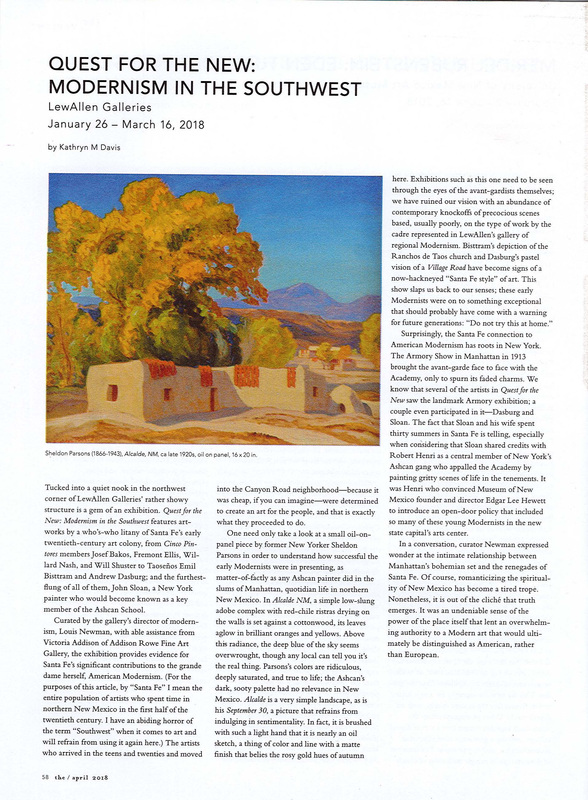 His hometown of Santa Fe, New Mexico, and its surrounding region, has for centuries attracted creative types—think painters E.L. Blumenstein, Georgia O’Keeffe and Maynard Dixon, as well as photographer Ansel Adams—who captured its open landscapes, breathtaking storms and iconic architecture from every angle, during every season and at every time of day. Click to read more.